The Devils River Conservancy, is spearheading the “Don’t Blow It” campaign to advocate for thoughtful regulation of wind energy development — an industry quickly expanding in rural Texas, largely without rules and with serious negative implications for Texans. While the campaign is in full support of renewable energy solutions, “Don’t Blow It” by placing renewable energy in locations that negatively impact ecologically and culturally sensitive and pristine areas, military operations and border security, as well as the communities that depend on these assets. The statewide initiative illustrates the environmental, economic and cultural implications wind farms pose in Val Verde County and demonstrates the need for development by design to protect what is left of “Wild Texas”. Val Verde County lies at the crossroads of three distinct ecological regions: the Chihuahuan Desert, the Tamaulipan Brushlands and the Edwards Plateau. It is home to many historical and natural treasures including its clear springs, vast unadulterated vistas and the last wild and pristine river in Texas, the Devils River. More than 1 million tourists visit Val Verde County state and federal parks each year, seeking a retreat from the urban jungle. Recently, Val Verde County has come under threat, attracting the attention of foreign industrialists who have acquired over 140,000 acres of undeveloped ranch land with the intention of expanding wind farms. Such development in this region will forever scar the iconic terrains, threaten the value of ecotourism, encroach upon military training grounds, degrade private property values and decimate one of the last vestiges of our “Wild Texas” heritage. “Don’t Blow It” by industrializing Wild Texas with wind farm developments. Energy purchased from wildscapes is not as “green” as that procured from less sensitive areas. Wind farms are substantial industrial developments, generating relatively small amounts of energy compared to the “sprawl” they require. They negatively impact the environment by disrupting groundwater flows, obstructing migratory flight paths, causing erosion and degrading water quality. Additional negative effects include noise pollution and visual pollution (including red lights that pierce the area’s famous night skies) — all standard byproducts of industrialization. “Don’t Blow It” by threatening military operations and border security. “Don’t Blow It” by sprawling into our last few iconic horizons. Val Verde County is a culturally rich region and home to over 2,000 archaeological sites. Shumla Archeological Research & Education Center a global leader in rock art research and education, has joined the DRC in opposing and objecting to wind farm industrialization in and around Val Verde County. Hundreds of complex multi-colored art murals are located in the Lower Pecos Canyonlands and Devils River Basin. These ancient spiritual expressions date as far back as 4,000 BP and are already threatened by vandalism, flooding and weathering; wind farms will cause further harm to these historical deposits. The DRC believes wind farms should be located in industrialized areas which have already been altered to such an extent that they have limited wilderness value remaining. Ultimately, destroying one environment for the sake of saving another makes no sense at all. To find out how you can help protect the unique natural and scenic treasures in Val Verde County from wind farm encroachment visit, www.dontblowittexas.org. To learn more about the Devils River Conservancy visit, www.devilsriverconservancy.org. Permit hearing for L’Anse Warden Plant’s request to burn 50,000 tons of engineered pellets. (Plastics). Second Wednesday of every month. 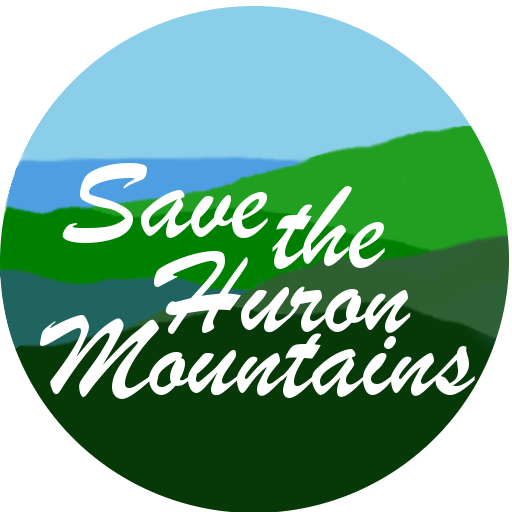 Upper Peninsula Environmental Coalition’s position paper against the proposed project.